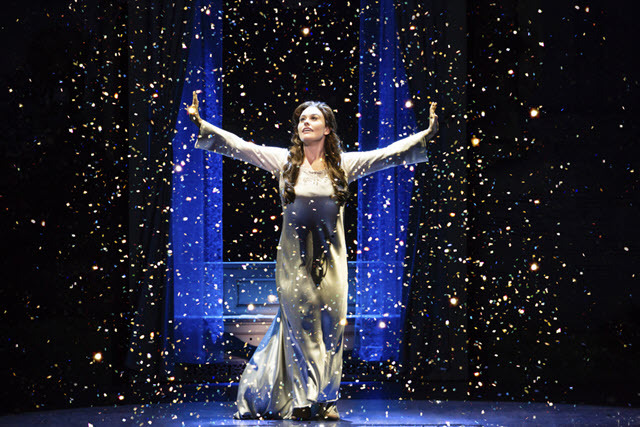 Finding Neverland flew into the National Theatre last night, straight from the second star on the right. 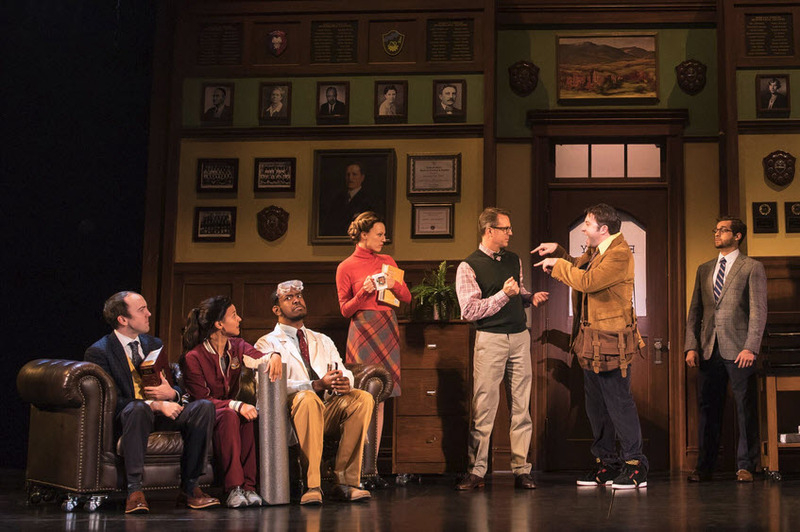 As the second-oldest theater in America, the National continues to provide us with the Broadway shows we are dying to see plus some that have made their out-of-town debuts right here. Seeing a big show on this smaller stage in this grand historic theater makes it feel as if you’re right on stage with the actors. 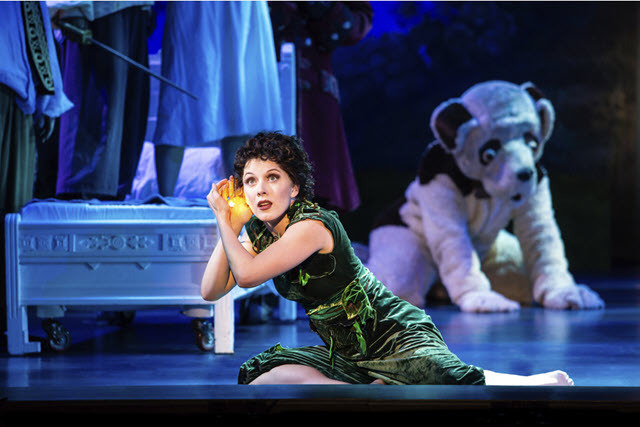 This supremely delightful musical takes its cue from the life of author J. M. Barrie and his inspiration for the beloved children’s book, “Peter Pan”. It’s an adventure suitable for all ages – that is if you still believe in fairies. And we do! Written by James Graham with music and lyrics by the composing duo of Gary Barlow & Eliot Kennedy, it is chockful of sweet ballads, rousing Irish jigs and toe-tapping chorus numbers. This song-writing team is solid gold. Barlow has sold over 45 million records with his pop group Take That and is co-writer on the popular musical The Band. Kennedy is a Grammy-Award winning musician/singer/songwriter who has had number-one hits with the Spice Girls, Celine Dion, Aretha Franklin and many more. 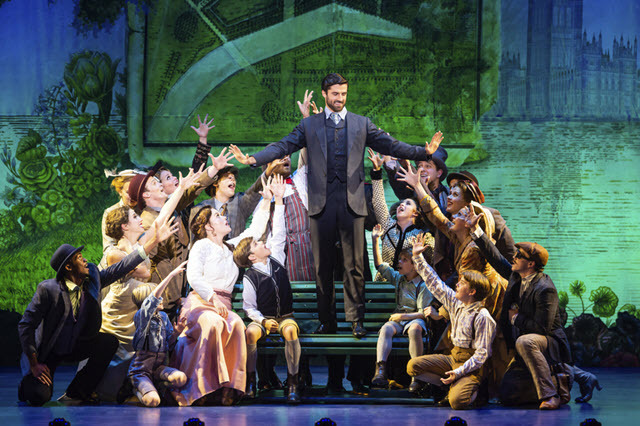 Altogether, Finding Neverland has twenty original numbers. Kensington Gardens is where Barrie, a playwright with writer’s block, meets Sylvia, a widow with four boys – George, Peter (of course), Jack and Michael. Trapped in a loveless, childless marriage with his imperious wife, Mary, he soon becomes enchanted with Sylvia and her lively brood, providing fuel to the boys’ imaginations as he recaptures his own inner child with a script heartily disapproved by his dyspeptic producer, Charles Frohman, and a stubborn-minded cast who refuse to play children’s roles. 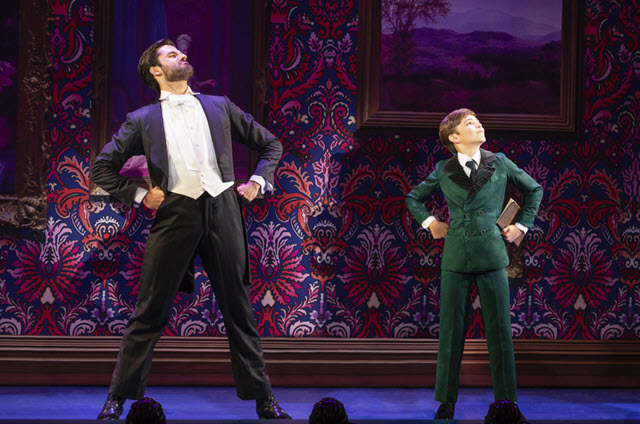 Not to be compared with Peter Pan, the 1954 musical with Mary Martin who flew and crowed her way into Broadway history books, this fantasy adventure has equal amounts of appeal. Wonderfully engaging choreography by Mia Michaels, choreographer on So You Think You Can Dance and Cirque de Soleil’s Delirium. Michaels has choreographed for Madonna and Prince and is a three-time Emmy Award-winner. For this production, rather than flights aided by ceiling wire, cast members lift their mates as they ‘soar’ around Neverland. The children (and the adults!) around me were gobsmacked with glee. A large banquet table proves to be a hilarious hiding place for the guests when napkins fly in Barrie’s posh home in “The Dinner Party” and “The Circus of Your Mind” that plays out to the sounds of a calliope as it delves into Mary and James’ private lives. At last, Barrie gets the theater’s troupe to recall their childhood imaginations in “Play”, a wildly animated tavern scene that brings all the imaginary characters together dancing and singing. 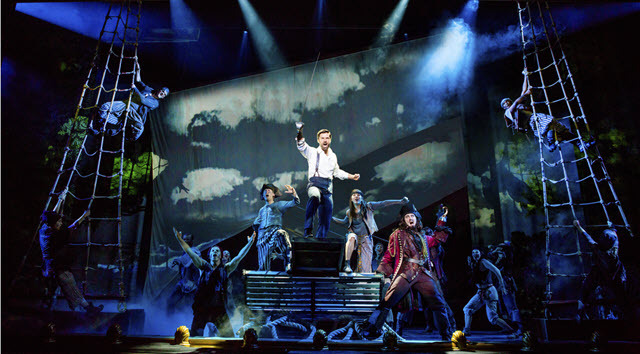 A nine-piece band, beautiful voices, adorable children, pirates! and clever projections (How do they create the stardust? Asking for a friend.) 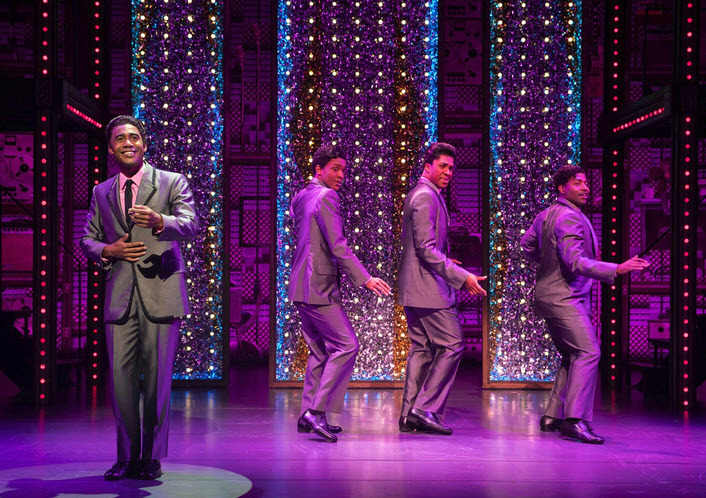 is guaranteed to keep this magical musical close to your heart. Highly recommended for all ages. Hurry! It’s only in town till Sunday. 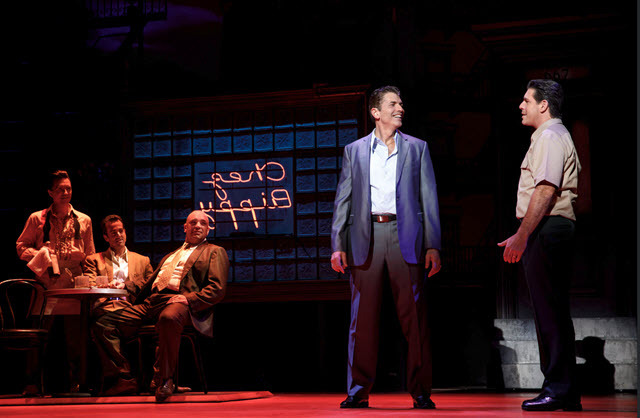 Through March 3rd at the National Theater, Washington DC – 1321 Pennsylvania Avenue, NW, Washington, DC 20004. 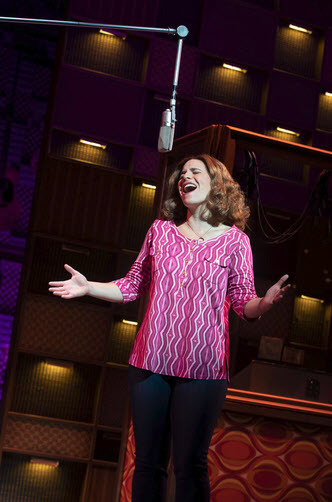 For tickets and information visit www.TheNationalDC.org or call 202 628-6161. 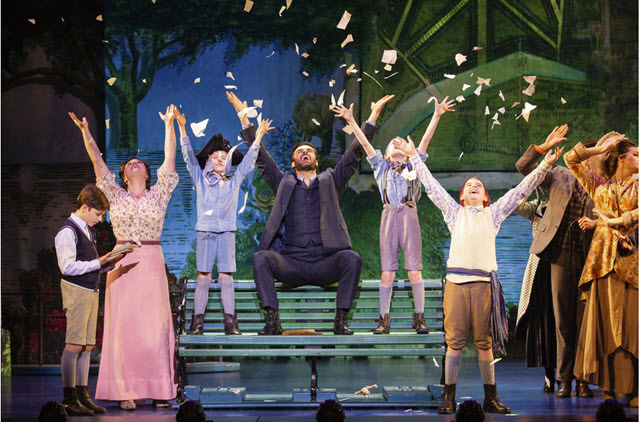 With Jeff Sullivan as J. M. Barrie; Ruby Gibbs as Sylvia Llewelyn Davies; Ashley Edler as Mary Barrie; Paul Thiemann as Albert; Conor McGiffin as Charles Frohman and Captain James Hook; Michael Luongo as Lord Cannan; Emmanuelle Zeesman as Mrs. Du Maurier; Joshua William Green as Mr. Henshaw; Spenser Micetich as Mr. Cromer; Kelsey Seaman as Miss Jones; Adrien Swenson as Miss Bassett; Melody Rose as Peter Pan; Marie Choate as Wendy; Daniel S. Hayward as Captain Hook. Llewelyn Children played by Brody Bett (Jack/Michael); Seth Erdley (George/Peter/Jack); Caleb Reese Paul (George/Peter/Jack); Peter Schoeller (George/Peter/Jack); Josiah Smothers (Jack/Michael); and Ethan Stokes (George/Peter/Jack). 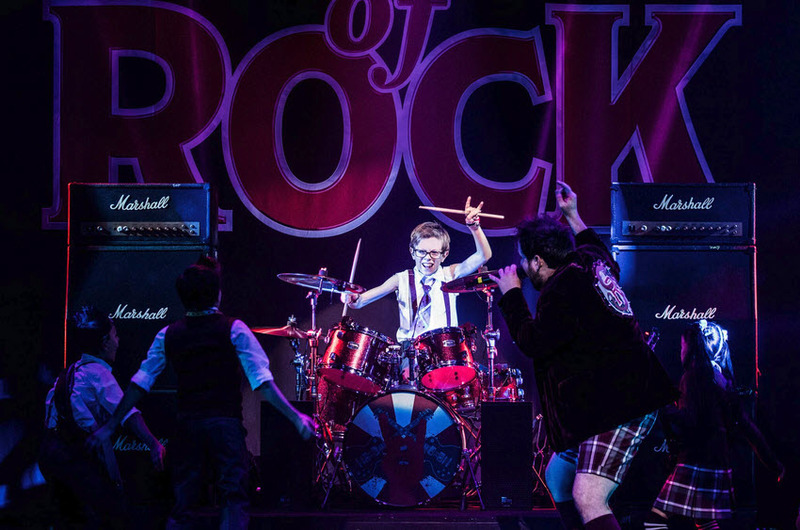 Original Direction by Diane Paulus; Direction Recreated by Mia Walker; Orchestrations by Simon Hale; Scenic Design by Scott Pask, Lighting Design by Kenneth Posner, Costume Design by Suttirat Larlarb, and Sound Design by Shannon Slaton. 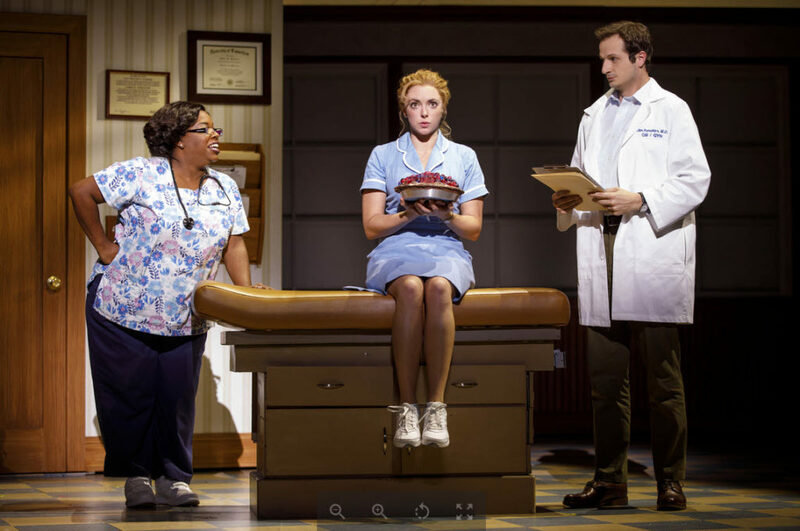 I now know why New York critics went gaga over Waitress. 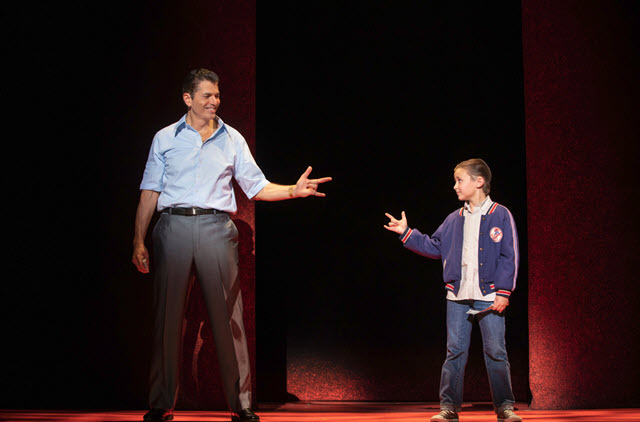 It earned Tony nominations for Best Musical and Best Original Score in 2016, won a Drama Desk Award, and an Outer Critics Award too. 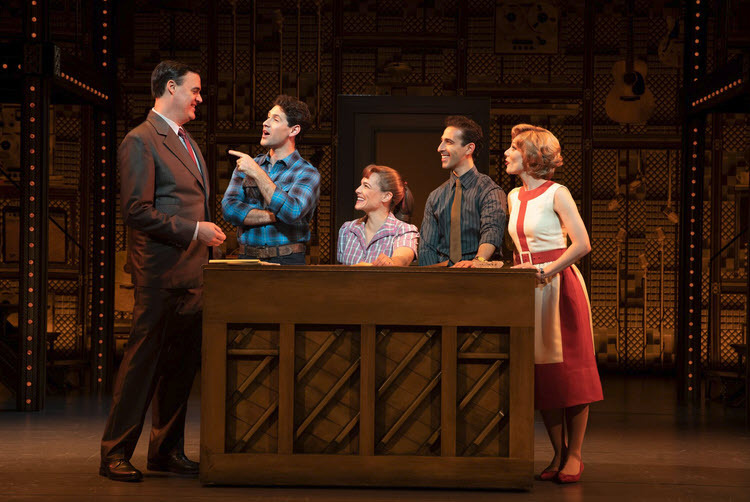 This sweet, funny, big-hearted musical by composer Sara Bareilles continues its run on Broadway with its first national tour here in DC at the National Theatre. How apropos! Bareilles, if you recall, became successful as a singer/songwriter/actress and New York Times best-selling author. Nominated for six Grammys, the California native has composed a score loaded with catchy tunes and tender ballads transforming the rather dark original movie version into a feel-good musical tailor made for foodies. 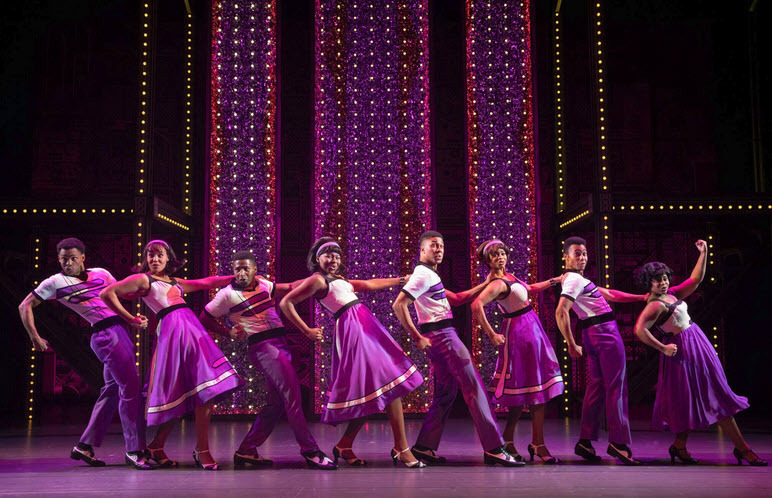 It’s Fried Green Tomatoes meets Nine to Five with the added attraction of a musical score. 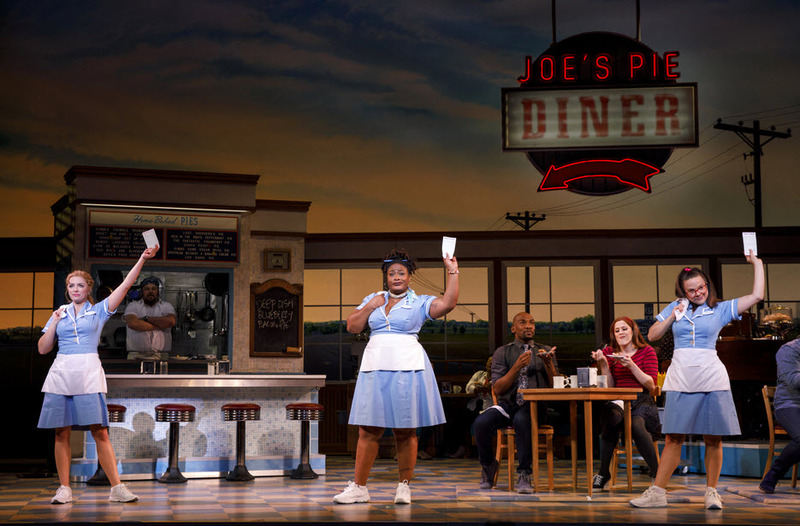 Set in a diner in a sleepy Southern town, waitress and amateur piemaker Jenna (Desi Oakley) discovers she is pregnant, just when she was planning to leave her abusive husband Earl (Nick Bailey). Her co-workers and gal pals, Dawn (Lenne Klingaman) and Becky (Charity Angel Dawson), and their boss Cal (Ryan G. Dunkin) try to keep her spirits up in spite of cranky customers and Earl’s insults. “You’re no Sara Lee,” he tells her as she secretly makes plans to enter the state pie contest. Soon Jenna meets the handsome gynecologist Dr. Pomatter (Bryan Fenkart) with whom she stealthily starts an affair. Meanwhile addled-headed Dawn and wise-cracking Becky are busy looking for Mr. Right. Soon Dawn finds Ogie, a poetry-spouting accountant á la Don Knotts who only eats white food and plays Paul Revere in reenactments. He’s a perfect match to her Betsey Ross fantasies. 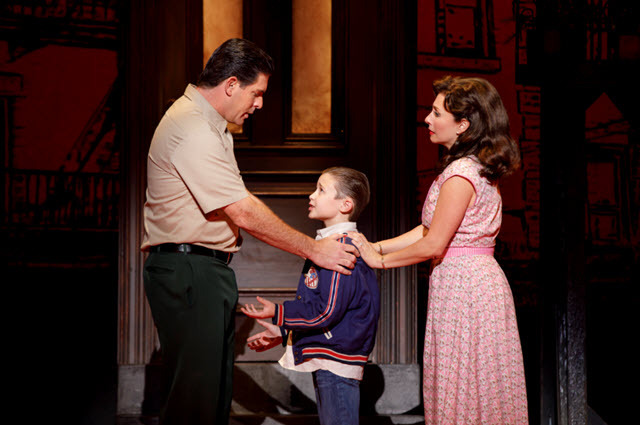 Recreating his Broadway role, scene-stealer Jeremy Morse plays Ogie. 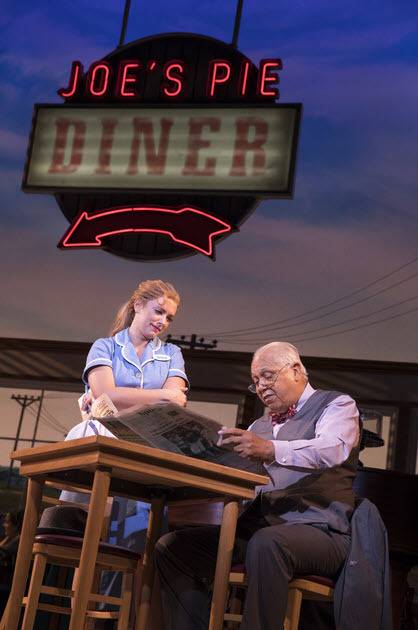 Veteran Broadway actor Larry Marshall plays Joe, the diner’s octogenarian owner and perennial grouch. Standout numbers by Dawson in “I Didn’t Plan It”, Morse with “Never Ever Getting Rid of Me” which brings the house down, and Oakley’s rendition of “She Used to Be Mine”, a tender ballad. 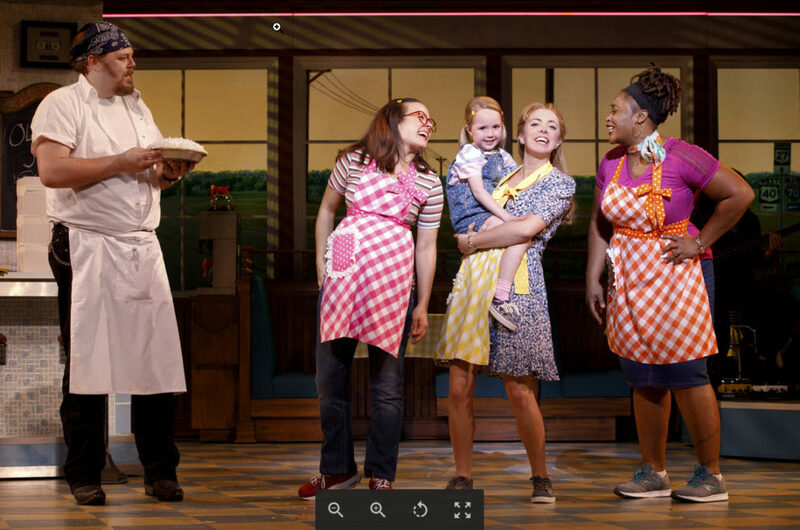 So, if it’s pie you want, be it ‘White Knuckle Cream Pie’, ‘Betrayed By My Eggs Pie’, ‘Mermaid Marshmallow Pie’, ‘Doesn’t Want The Baby Pie’ or any other of Jenna’s quirkily-named pies, you will love this sunny, funny, honey of a show. Just remember sugar, butter, eggs are just the start. Breaking news from the diner! 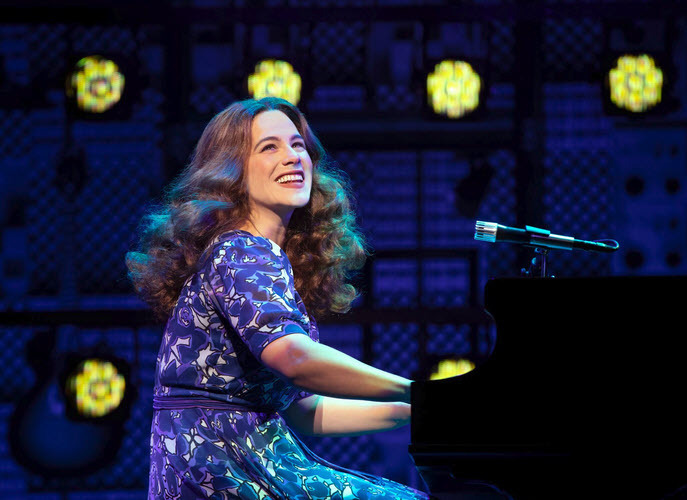 Six-time Grammy nominee and composer of Waitress, Sara Bareilles will be at the National Theatre to host “Cast Album Karaoke” following the 8pm show this Saturday, May 19. Limited seats for that performance remain. 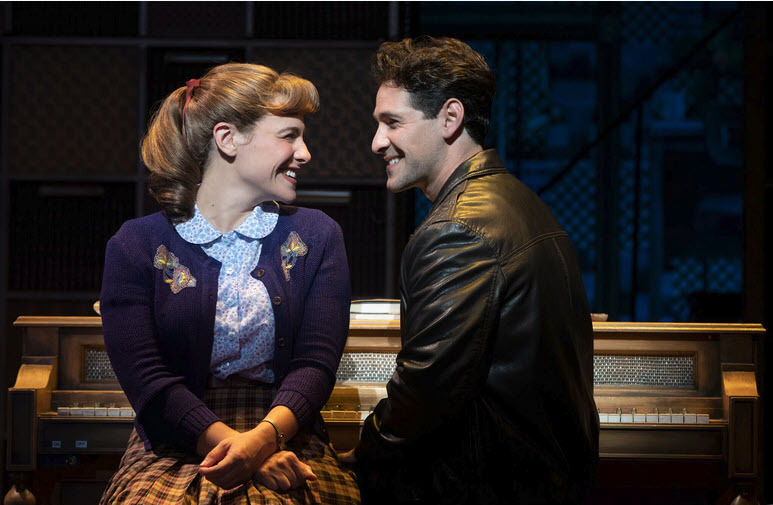 Interested audience members at that show will be chosen at random for the chance to sing any song from Waitress on the National Theatre’s historic stage accompanied by the show’s band. 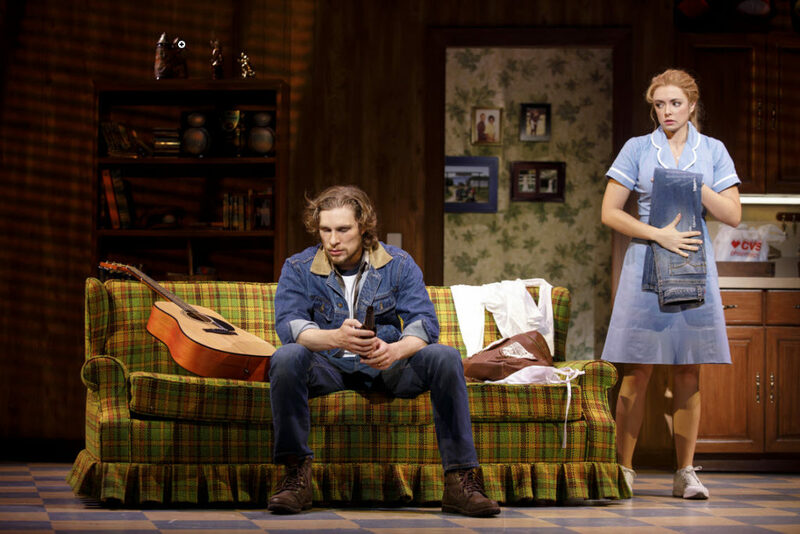 It’s the first time Sara Bareilles has hosted a post-show “Cast Album Karaoke” during the national tour of Waitress. 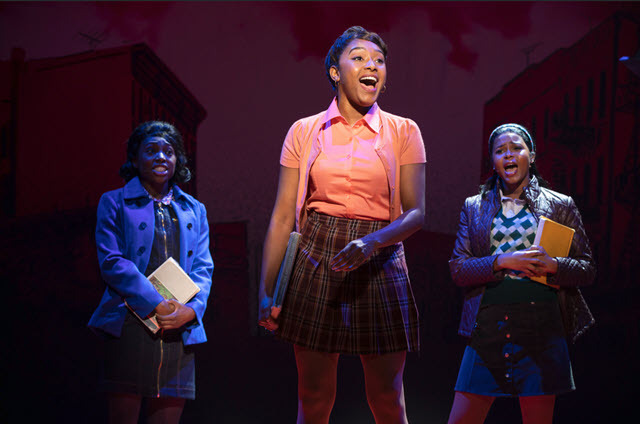 Two familiar faces from Washington, D.C.’s WUSA9 will host “Cast Album Karaoke” on Friday, May 25 and Friday, June 1: “Get Up DC!” host Reese Waters (May 25) and Andi Hauser from “Great Day Washington” (June 1). 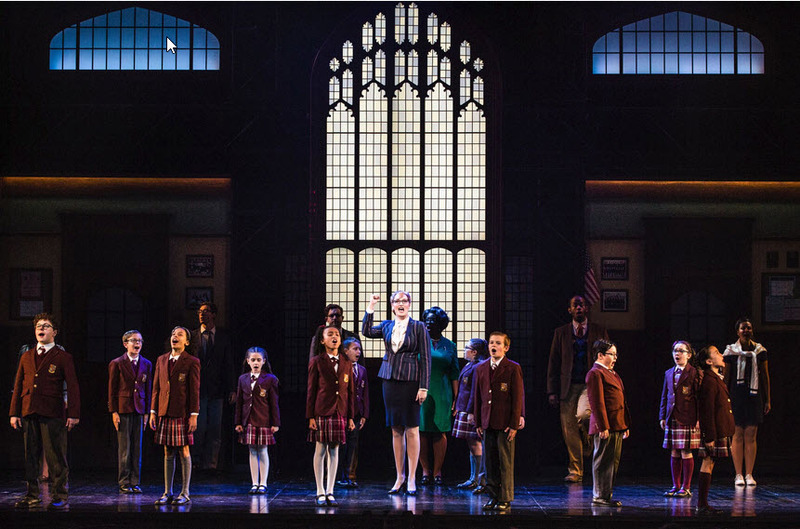 Book by Jessie Nelson, orchestrations by Sara Bareilles, directed by Diane Paulus, conducted by Jenny Cartney, choreographed by Lorin Latarro, Set Design by Scott Pask, Costume Design by Suttirat Anne Larlarb, Lighting Design by Ken Billington and Sound Design by Jonathan Deans. 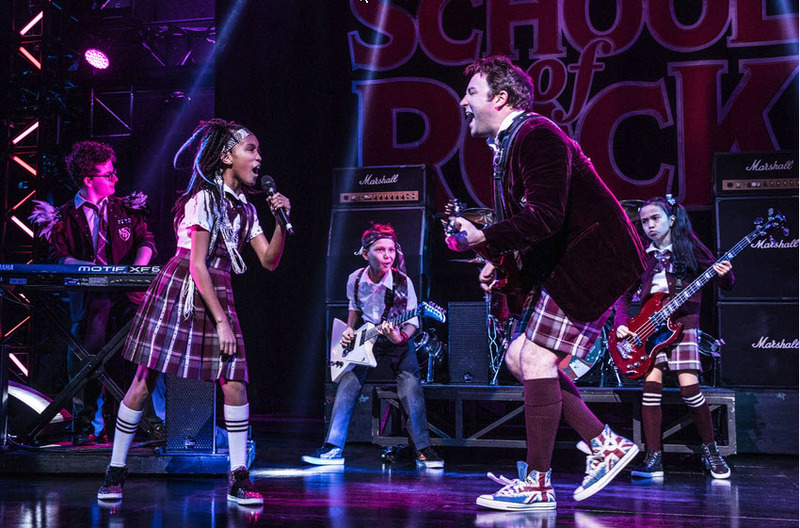 With Grace Stockdale as Mother, Jim Hogan as Father, Maiesha McQueen as Nurse Norma, Kyra Kennedy as Francine, and Alexa M. Lueck and Eva Pieja as Lulu. With ensemble members Mark Christine, Donterrio Johnson, and Gerianne Pérez. Through June 3rd, 2018 at The National Theatre, 1321 Pennsylvania Avenue, NW, Washington, DC. For tickets call 202.628.6161 or visit online.